FYP offers 3-ply Napkins with and without embossed borders, select 4-ply Napkins and air laid Linen-Like Napkins. Petite Linen Link Napkins are a sweet, elegant alternative to our traditional sized cocktail napkins. Cocktail Napkins approx. 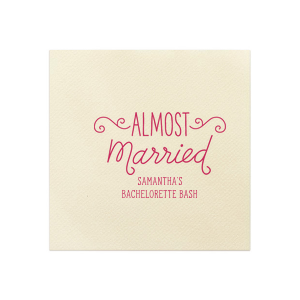 4.75" x 4.75" & 5" x 5" (sizes vary by color) Luncheon Napkins approx. 6.25" x 6.25" Dinner Napkins approx. 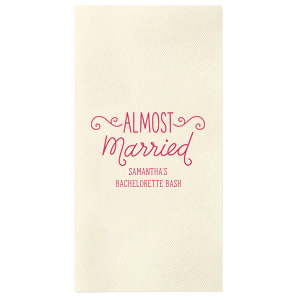 8" x 8" Guest Towels approx. 4.25" x 8.5" Personalize your Napkins with text and illustrations from our extensive designer-curated collection. 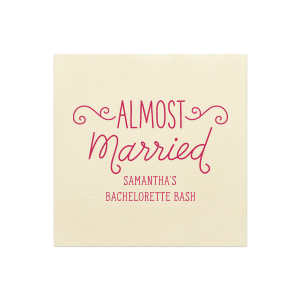 With over 150 fonts, 50 foil colors and 1,300 clipart images, you can create the perfect party accessories for your event. You can also Upload Your Own Art for a truly unique product. 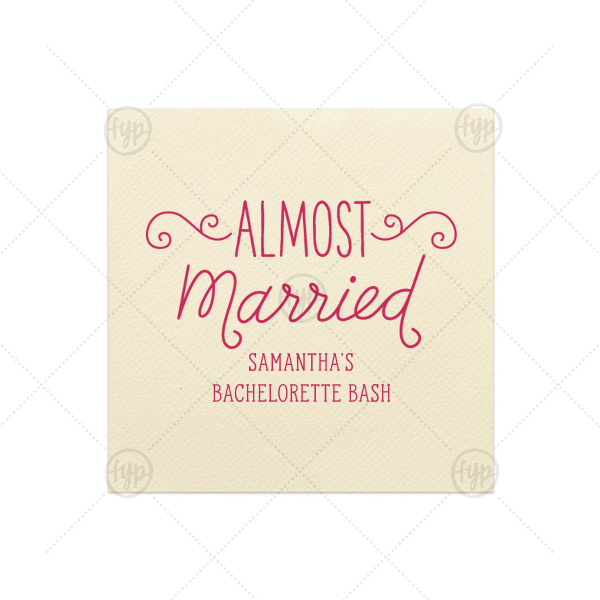 ForYourParty's elegant Ivory Linen Like Petite Napkin with Matte Fuchsia Foil has a Almost Married 3 graphic and is good for use in Words, Bridal Shower themed parties and couldn't be more perfect. It's time to show off your impeccable taste.